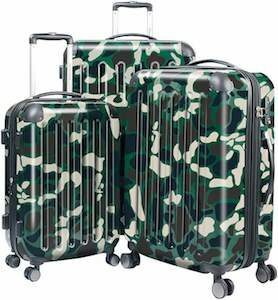 If you are afraid of loosing your suitcase then don’t get this camouflage suitcase set as it is made to blend into the background. These suitcases are hardcover and have swirly wheels on it so that it is really easy to move around while you are traveling around. And when you take these suitcases to natures then they really blend into nature and that will make it difficult to find your bags back when you want to go home. 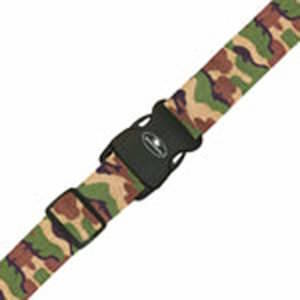 If you like camouflage then you are in luck because now there is a camo luggage strap. 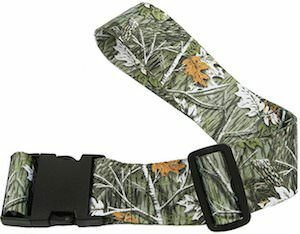 This luggage strap is just like any other luggage strap but then just harder to find if it gets lost in the woods. 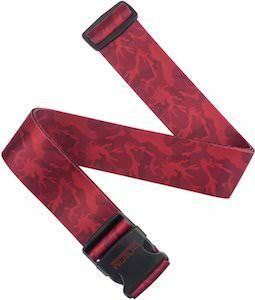 The camouflage luggage strap is adjusted to size so that it will fit your suitcase perfectly and you can stop worrying about it accidentally opening. Normally luggage strap also makes it easier to spot your bag on the luggage belt at the airport but this one is camouflage and that could make it more difficult to spot of course.